Rehau pex pipe is a world renowned company excelling in class (A) pex pipe. This pex pipe is able to freeze solid without damaging the Rehau pex pipe. You can buy Rehau pex pipe in both o2 barrier pex or no barrier pex. Rehau pex pipe is also offered in a underground insulated version. 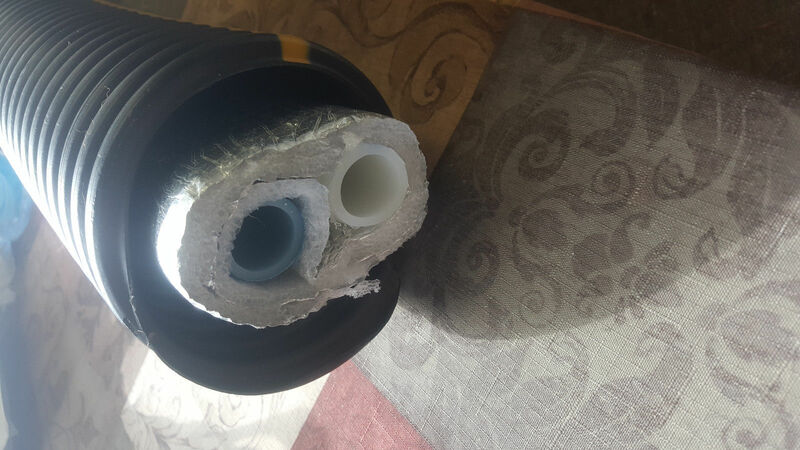 You can get Rehau class (A) pex pipe in 5 wraps of Microfoil insulation that offers a r-18 insulating value.We also offer the Rehau class (A) pex pipe in a foam filled style called Insulpex. Insulpex is a top quality Pex pipe that is made with expandable closed cell foam. This Rehau insulpex ins more expensive but is top quality and offers premium results. We also now offer a 3 wrap insulated pipe. (WE SUGGEST OUR 5 WRAP PIPE BUT FOR THOSE WHO WANT THE LEAST EXPENSIVE WAY THIS IS YOUR BEST CHOICE).